The announcement that a Pokémon/Tekken crossover game was coming took everyone by surprise. But don’t go into it expecting just a Tekken game with a Pokémon skin on it. According to Harada, Pokkén Tournament was specifically developed with Pokémon fans in mind, rather than fighting game players. “The tech to make the game and the knowhow behind the massive amount of animations comes from our experience working on the games we’ve made before, but with the gameplay, we’ve set our sights on Pokémon fans.” Harada said. As a bit of advice to novices to the game, Harada offered this little tidbit, “Newcomers should especially focus on blocking.” Harada noted that while combos and technique were important in playing the game, properly blocking enemies’ attacks was the most important divider between beginners and experienced players. 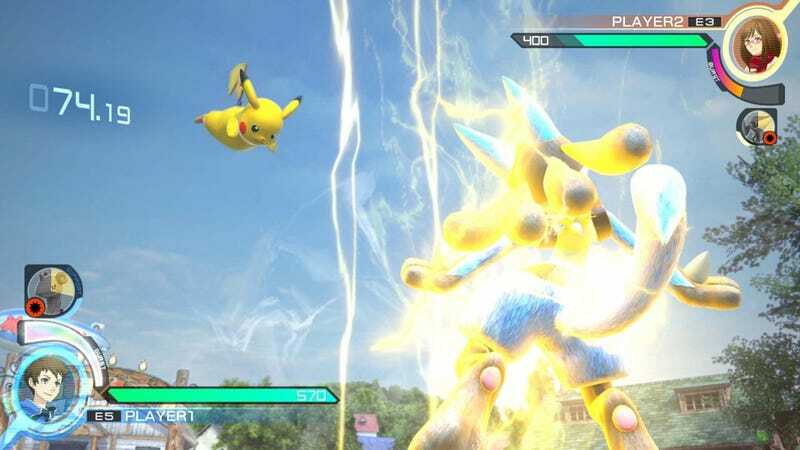 Pokkén Tournament will be playable in Japanese arcades starting tomorrow. There are currently eight playable pokémon with more on the way. Famitsu reports that Blaziken will be joining the roster next month.